A flurry of napkins flies through the air as the scarf of a belly dancer waves rhythmically back and forth to her movements and she claps her zills to the beat. “Opa! !” the server cries, without flinching to pick up a single napkin from the hundreds now strewn across the dining room floor and tables. The dancer then urges a hesitant customer to stand up on a chair and shake his hips to the music as well, clapping enthusiastically. Dining at Atlanta’s Taverna Plaka on Cheshire Bridge Road is about more than food; it’s about experiencing an entire culture, one where guests are treated like family. The restaurant has been in Atlanta for years, and now, people have come to know it as one of the city’s major Mediterranean establishments. Here, guests can not only enjoy the flavors from the Adriatic Greek Isles, but also the warmth and spirit of its people. According to General Manager Filippos Kourkoulos, who is from the Greek isle of Corfu, when the restaurant first opened, there was no proper Greek restaurant in town, and it seemed residents of the city were not very much open to the food of other cultures. It indicated to him the need to expose the city to more varied cuisine. Until then, much of the Greek food had been served in a casual environment alongside other cuisines, and over time, few of these restaurants sustained the costs that it took to run a business, he said. Meanwhile Taverna Plaka has managed to do so. Initially supported by friends of the Greek and Iranian communities, it has now become a popular spot for people of all backgrounds to meet for a meal, host larger events in the main dining room, or even parties on the patio. Kourkoulos knew what it took to run a successful restaurant because he grew up surrounded by the business. His family had a restaurant back home when he was a child, and when they moved to New York in his teens, he helped them at their restaurant as well. Some of these family recipes have been carried down through the generations and has allowed him to maintain authenticity for his own restaurant in Atlanta. Kourkoulos said authenticity and fresh ingredients are the key to success. It’s when you try to do too much or cater to too many interests that the flavors start to get watered down. For Greek food, those ingredients include garlic, olive oil, rosemary, thyme, fresh oregano and lemon juice. Noticing that these ingredients overlapped with those of Italian food, both he and Head Chef Scott Duke, who travel together to Greece often, figured they could fuse the flavors to offer a few Italian items on the menu as well. Over the last 15 years, Kourkoulos has noticed Atlanta’s food scene changing, and he’s hopeful of what’s to come. Palates have diversified, and now we are seeing an emergence of more varied cultural food, he says. When he first started, he felt people preferred the larger American chains such as Cracker Barrel and McDonald’s, but now Atlanta residents have the opportunity to try different things thanks to entrepreneurs like himself and the growth in the communities of foreigners. However, one of the pitfalls he has noticed of some new businesses is that they try to go beyond the food that they know to try to sell more to more people. That’s why, on his off days, Kourkoulos visits other restaurants to learn about other cultures and to also check out Atlanta’s growing food scene. He uses this to discover unforgettable dishes of other cuisines, and to inspire himself to work harder in creating memorable menus for his customers too. With Taverna Plaka’s large menu of Greek, Italian and seafood, that’s not hard to do, and there are certainly ample options for vegetarians to select. Here, vegetarians can start with a savory spanakopita — a crispy filo dough stuffed with spinach and feta cheese — or a trio of spreads to dip your pita bread, such as roasted red pepper with feta (ktipiti) , hummus, or tzatiki (yogurt with dill). For a filling entree, try the colorful and satisfying vegetable kebabs or the stuffed tomato and pepper with a side of green beans. “To make somebody’s palate watery: if you accomplish that mission whoever it is is going to remember you,” Kourkoulos said. 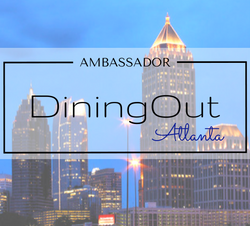 Taverna Plaka is included in the Dining Out Atlanta Passbook. 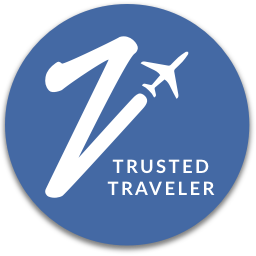 With BOGO deals to more than 90 Atlanta restaurants, this $99 passbook pays for itself when you use my PROMO CODE JMIT18 for a final, discounted price of $39. Order yours here, and use the promo code for $60 off this coupon book that is filled with deals, valid until November 2018.